Mike Marino was born in Jersey City, New Jersey. He entered the entertainment industry at an early age and has studied at some of the most prestigious acting schools in New York, the Herbert Berghof Studio and the American Academy of Dramatic Arts. Mike has appeared in over 200 national television commercials including many endorsements and has received a Best Actor Clio Award Nomination. He has acted in many Prime Time soaps and television shows including: As the World Turns, One Life to Live, Becker, Nikki, Frasier and Party of Five. His film credits include Crooks, Pizza with Bullets, Hangin’ in Hedo and Steven King’s Lucky Quarter and Criticsized. Adding to his great success in film, theatre, commercials and soaps, Mike Marino began touring the world performing and selling out at countless clubs, theatres and casinos. His stand-up material ranges from cutting edge observations of everyday life to his Italian family roots, which recently spun into a T.V. pilot called “Re-Constructing Jersey”. 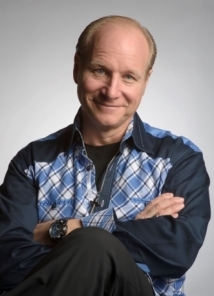 His comedic style has landed him guest appearances on The Tonight Show as a regular sketch player, The Martin Short Show, Canada’s Comedy TV, The Boomer Show, Wild Pitch and Hand Held Comedy Radio. A clip of Mike’s appearance on Byron Allen’s Comics Unleashed earned him over 7 million views (and counting), which has led to his current web series “Marino 2016” – an original comedy based on Mike’s road to the White House and wise guy attempt to become the first Italian American President of the United States. In the Fall of 2008, Mike Marino was inducted into the New Jersey Comedy Hall of Fame and in 2015 he won the USO Bob Hope Comedy Award for his many performances for the military. Mike has also been featured on numerous talk shows and has hosted some of the most prestigious award shows including The Beverly Hills Film Awards, Hoboken Film Festival, Montreal Quintus Film Festival and countless corporate events. Mike has been featured in the Just For Laughs Comedy Festival in Montreal, Canada seven years in a row. Mike Marino has a tongue like a razor and a heart of gold. He has the incredible ability to perform in any arena, big or small, and can cater his material for all audiences, from strictly clean to down and dirty. He has performed in hundreds of corporate functions for companies including AT&T, United Airlines, American Express, Paul Mitchell, IBM, Wella, Merrill Lynch, Sebastian Intl., Toyota, L.A.S.D., N.J. Asphalt Assoc., The City of Hope, OSIA and the LAPD. Mike Has performed for numerous charities including Aids Project – LA, Haven House, Team Earthworks and the Eric Davis Cancer Fund. When Marino is not performing, he enjoys traveling and spending time with his family on the East Coast.